All over the world, where wood is used professionally, you will find HOLZ-HER machines. 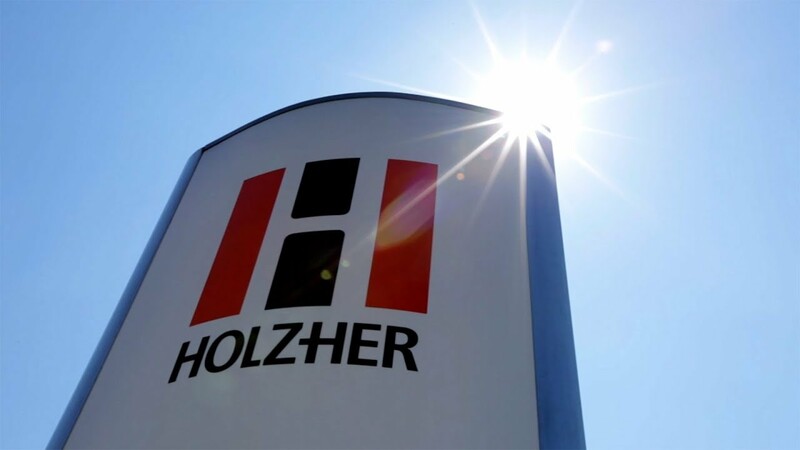 Being globally active and providing customers with the best possible solution has been one of the principles of HOLZ-HER since its foundation. HOLZ-HER can not only look back on over 100 years of experience and competence in woodworking and panel processing. The long-established company from Nürtingen is taking concrete steps into the future with groundbreaking innovations and unique products for ever new processing options. Our engineers number among the world's best. Their visionary imagination and exceptional skills guarantee that our machines are the highest performing, most flexible and safest in the world today. Customers appreciate our capability to develop and produce excellent products quickly at equitable prices and high quality. Integrative, networked solutions are decisive for machining wood and panels worldwide. This is why HOLZ-HER offers a line of products matched to one another and always develops a complete product series, from an entry-level machine right up through all performance ranges to the comprehensive top model. All service activities and product training courses are planned in parallel to new products. This ensures that, in addition to being offered a new machine, customers can also take advantage of a complete range of services. This focuses on practical solutions and greater customer benefit. As a Weinig Group company, we benefit from synergies in development, production and sales, which also benefit our customers. Select your carpentry shop into a workshop of the future! Custom-made furniture at the touch of a button: The new NEXTEC from HOLZ-HER revolutionizes the way carpentry shops work. In presentations, sales and production. The basis of the NEXTEC technology is a new software from HOLZ-HER. A mouse click is enough to select and configure the desired cabinet type on the machine monitor. At the same time, all necessary CNC programs for the individual parts are generated and fully automatically nested via the BetterNest software optimized for the selected plate material. Now just place the desired raw plate on the NEXTEC machining center and press the start button. The CNC does the rest. The result: Perfectly formated workpieces including all vertical holes, grooves and cut-outs. And the absolute Highlight: The patent-pending Clamex milling tool allows all milled pockets required for the Lamello-P-System to be machined on the edges of the work in one single clamping operation! No reclamping; No loss of time or quality! You can see everything about the HOLZ-HER Smart Factory module for the new NEXTEC series at a live demonstration at the HOLZ-HER booth at the HOLZ-HANDWERK in Nuremberg. At HOLZ-HER you will find exactly the right edgebander for your needs. We offer you everything: from the entry-level version in an extremely compact design through to the high-end version, which enables laser and adhesive edges in double backs. All HOLZ-HER edgebanding machines guarantee perfect zero joints and superior quality at an attractive price-performance ratio. At HOLZ-HANDWERK, HOLZHER will be exhibiting edge banding machines of the AURIGA, SPRINT, STREAMER, ACCURA and LUMINA series. Brand new are the Industry models, which enable edgebanding on an industrial level. Unique features with the vertical CNC machines for wood processing - Your choice – perfectly matched to your requirements as EVOLUTION 7402 or the more powerful version, the EVOLUTION 7405 4mat. The machining capabilities of the EVOLUTION Series vertical CNC machining centers are virtually unlimited. A selection of solid wood suction cups are available for machining solid wood frames and panels. Even curved solid wood parts, furniture fronts of MDF for painting, cutting and drilling of furniture fronts, engraving or complete processing of counter tops are further application possibilities for which the EVOLUTION series perfectly suits.